New Jersey basements are notorious hotspots for mold development. Often times, basements are damp with little to no air circulation, which provides the ideal environment for fungal activity. Once mold roots itself in your basement, it can rapidly spread and lead to a major contamination. That is why it is important for homeowners to take the time to learn about the warning signs of mold growth and implement preventative measures to avoid mold development all together. 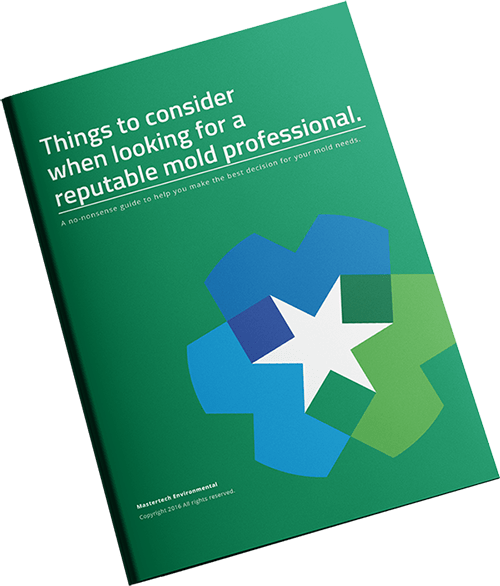 Mold is a bio-contaminant that needs to be safely removed by a trained professional. Why is Basement Mold so Bad? Mold growth in your NJ basement can mean serious health problems and serious structural damage to your property. Certain species of mold have the potential to produce mycotoxins that are toxic to humans. Exposure to mold can result in symptoms ranging from mild allergies to serious upper respiratory problems. Each person will react differently to mold exposure. Symptoms vary depending on the individual, the length of time of exposure, the species of mold and several other factors. The purpose of mold in the natural, outdoor environment is to breakdown dead organic matter to be recycled back into the ecosystem. Now, imagine mold doing that to the building materials of your home. Mold and the underlying water problem will eat away at the structure of your home and do some serious damage to your property. What Causes Mold Growth in New Jersey Basements? Consistent moisture control is the key to avoiding mold development. Leaks– Checking for leaks regularly will help you catch a leak before it has the chance to do too much damage. Routinely check for water leaks in your basement ceiling from the levels above. If you detect any signs of water damage, you should address it immediately. You may need to contact a professional to get to the bottom of the leak and stop it before it leads to mold development. Check all HVAC components and plumbing systems running through the basement for leaks or condensation. Water leaks need to be properly resolved before you develop a mold problem– it only takes 24-48 hours for mold to develop in the presence of moisture. Foundation– Water can potentially enter your basement through your foundation walls. Regularly assess your foundation walls from the outside, and your basement or crawl space walls from the inside to identify and address any signs of damage. Look for any cracks, masonry damage, or interior signs in our main living space– these can all be warning signs of foundation damage in NJ. Manage drainage around your foundation. It is important that all rain runoff is draining away from your NJ home so that it does not collect and pool around your foundation. Landscape– Your home’s surroundings are very important to keeping rising water out. You always want water to flow away from your home. Make sure that you plant your trees with sufficient space between the tree and your home. Tree roots are aggressive and their growth can apply unwanted pressure to your foundation walls. Depending on the kind of tree, you should plant your trees roughly 15-20ft away from the home to avoid damage to your foundation. Track the water pattern during heavy rain. Keep an eye on your yard during heavy rain to see if/where the water approaches and pools near your home. If you notice consistent pooling, contact a landscaper or excavation contractor for advice on how to direct the water away from your home. Your lawn should slope away from your home. If you notice that your lawn is graded in the wrong direction, towards your home, your home may be vulnerable to flooding. You should consult a landscaper for an appropriate solution. When you place mulch, be sure that you leave a 6-inch gaps between your mulch and the siding of your home. The moisture in the mulch can wick into the siding and rot away the building materials. Drainage– In order for drains to do their job, they must be clear at all times. If you have basement floor drains, check them regularly to look for any obstructions in or around the drain (dirt, debris, storage items, etc.). Optimized drainage will help to avoid flooding. If you have steps leading to your basement, make sure the drain at the base of the steps is free and clear of debris. Stair drains in older homes tend to be on the smaller size and are prone to clogging. Make sure that gutters and downspouts direct water AWAY from foundation walls. Water that flows towards the home can seep into the basement and cause water damage and mold development. Downspouts should extend at least six feet away from your home. Clean your gutters regularly– your gutters should be free of all debris to avoid backups. Overflowing gutters can lead to water buildup around the foundation walls. To help prevent leaves from getting into your gutter, you can install gutter guards. But even with gutter guards, it is still good to make a habit of checking your gutters to make sure nothing gets lodged in the crevices. Make sure that the downspouts are not connected to your foundation footer drain tiles or to underground dry wells. Waterproofing– Basement waterproofing is a tactic to prevent water from penetrating the basement. If your basement is below ground level, it may require basement waterproofing to help combat seepage or moisture buildup from groundwater. Basement waterproofing can mean the application of sealant materials, the installation of drains and sump pumps, and more. If you are considering basement waterproofing, you should consult a trained professional will be able to properly handle the job. Dehumidifier– Basement dehumidifiers can help to keep your NJ basement dry. If your basement is especially damp or humid, a dehumidifier can help. Make sure that you pick a dehumidifier that is the right size and capacity for the needs of that specific space to ensure effectiveness. Regular dehumidifier maintenance will help to preserve the quality and effectiveness of your unit. Declutter– Basements are often used for storage. Cluttered spaces limit air flow and can promote moisture buildup (especially in already humid environments). Take some time to regularly organize and purge some of your stored items. This will open up your basement and help to optimize air circulation. If you detect signs of a potential mold problem in your basement, contact a certified NJ mold remediation professional who will be able to safely and effectively assist you. If you detect basement mold in your New Jersey home or business, contact a professional mold company to have your basement thoroughly inspected. A Mastertech basement mold inspection in NJ will determine if you have mold, how bad it is, what caused it, and how to safely and effectively remove it. The NJ basement mold removal professionals at Mastertech Environmental will specifically develop the safest and most efficient NJ basement mold removal scope of work to ensure the most thorough and successful cleanup of your property. Each Mastertech mold removal is backed by a 5-year, mold-free warranty. It is our promise that the mold has been safely and properly removed, and it will not return.